Sega desperately wanted to be perceived as being cooler than Nintendo back in the ‘90s. 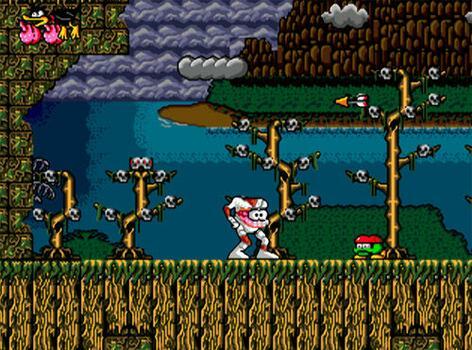 They had 18-rated games with blood and gore, backed with glitzy marketing campaigns. Nonsensical buzz words such as ‘blast processing’ were used in these adverts, as were renowned celebrities of the era. 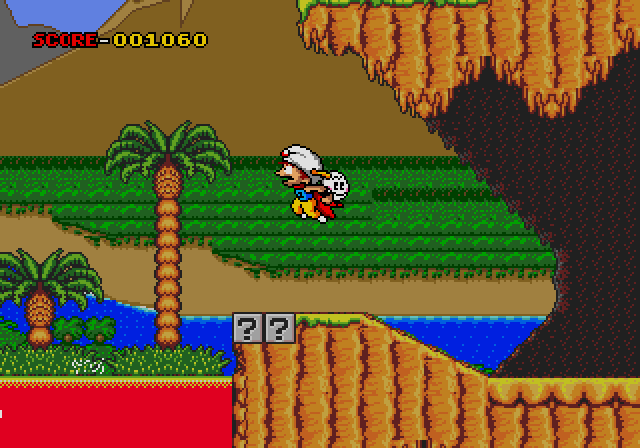 Part of us thinks that it’s because of this desire to keep a cool image that Vic Toki’s Mega Drive platformer Magical Flying Turbo Hat Adventure underwent a total graphical overhaul to become DecapAttack. 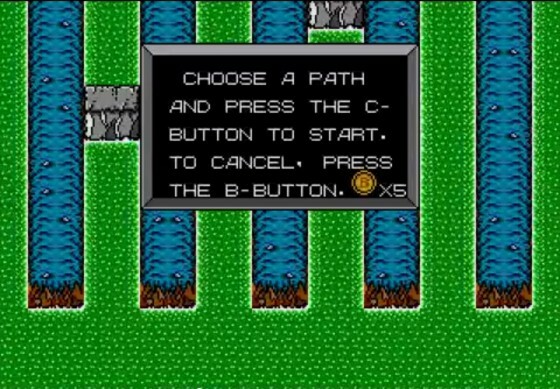 It could, however, also have been down to licensing issues – the late ‘80s anime series Magical Hat was never released outside of Japan, and so obtaining that license would have been fruitless. Either way, we’re glad that Sega saw the potential behind the exotic exterior. Much like Nintendo’s Doki Doki Panic, which too received an overhaul to become the western world’s Super Mario Bros. 2, it originally featured an Arabic-theme with turban-wearing hero sporting a fancy waistcoat. 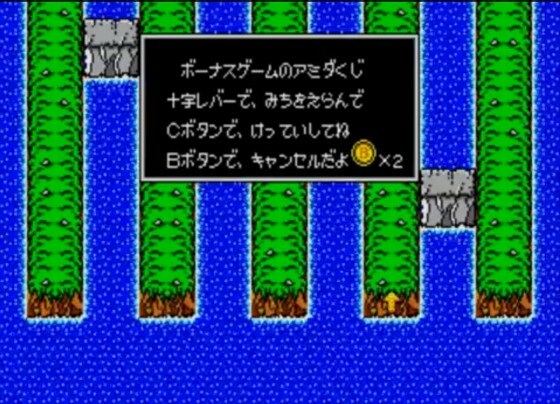 Another possible reason for Sega wanting to bring the game to the west is that it’s a sequel of sorts to Psycho Fox – an early Master System exclusive that sold well. 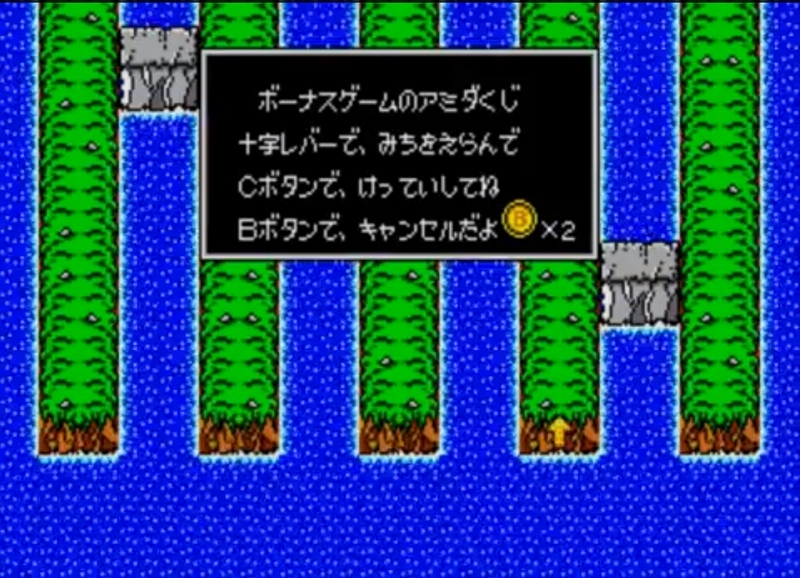 The NES also received a game in the same series titled Kid Kool and the Quest for the Seven Wonder Herbs, although Kool Kid never reached the same level of popularity as Vic Toki’s fantastic fox. 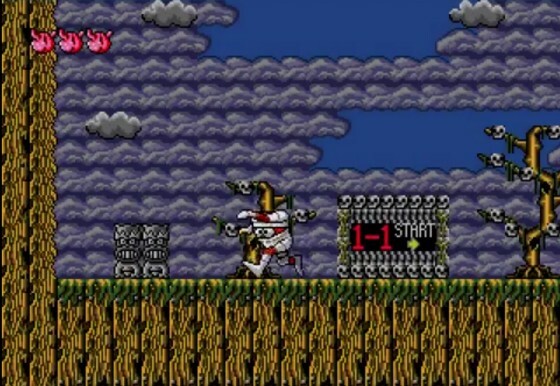 Both Psycho Fox and Turbo Hat Adventure share several ideas, including the protagonist’s ability to throw a small helper character who’d then return like a boomerang, ready to be thrown again. 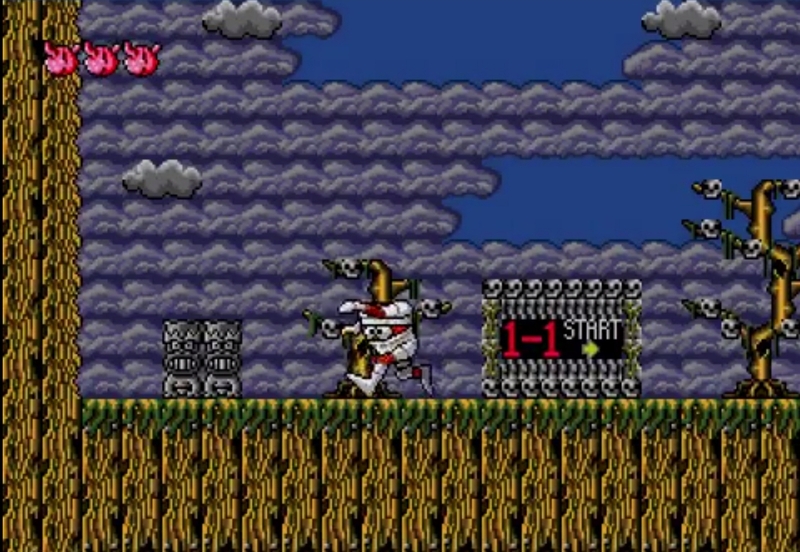 A few enemies are likewise recurring, in addition to flexible flagpoles able to catapult the player up to higher areas. 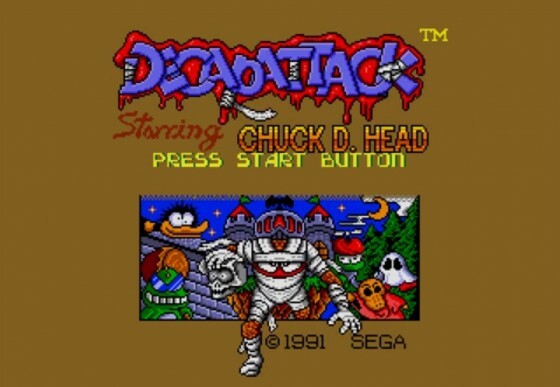 In DecapAttack, the ability to throw a projectile was worked into a frankly brilliant pun – the hero was changed into Chuck D. Head, a mummy able to throw his bonce about. The fist that Turbo Hat’s hero used to punch enemies was also changed, taking the form of an extendible face inside Chuck’s torso. The two-faced so-and-so. To suit western gamers the difficulty level was tinkered with so that Chuck could take more than one hit. Lava still killed Chuck instantly though, and rightly so. 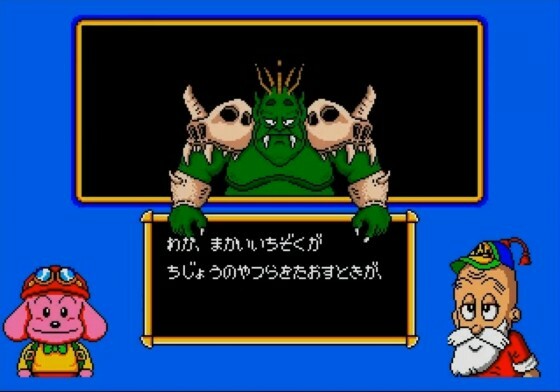 The music meanwhile was changed entirely, becoming fast paced and edgier when compared to Turbo Hat’s Arabic-influenced musical score. The two begin with a short cut-scene showing a continent being separated into various islands by a volcanic eruption. 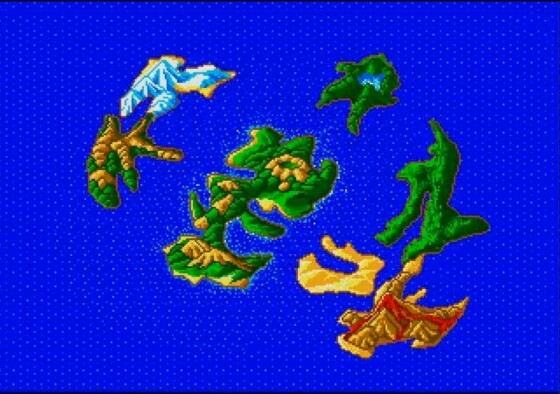 Those in charge of DecapAttack’s localisation changed the continent into the shape of a skeleton and they clearly had some fun naming the islands, with El Beau Island being one fine example. A second cut-scene explains the plot. Chuck D Head must stop Max D. Cap and his underworld army. 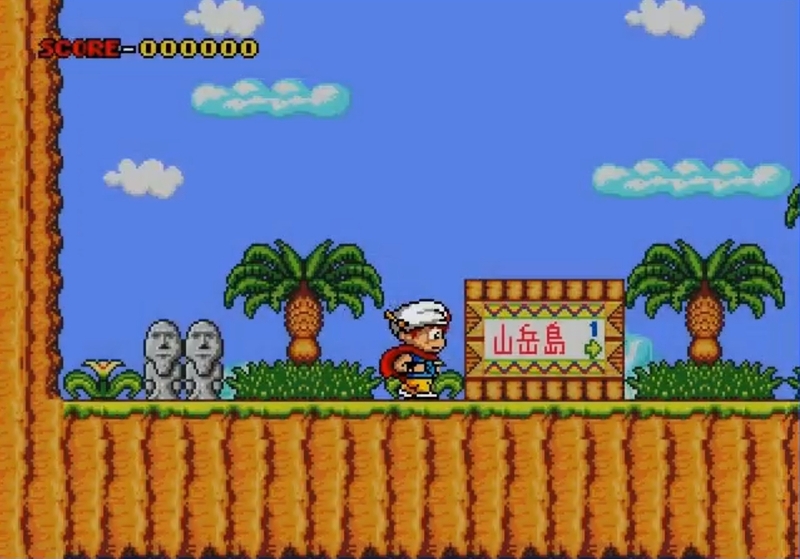 Sega must have run out of decent puns by this point. 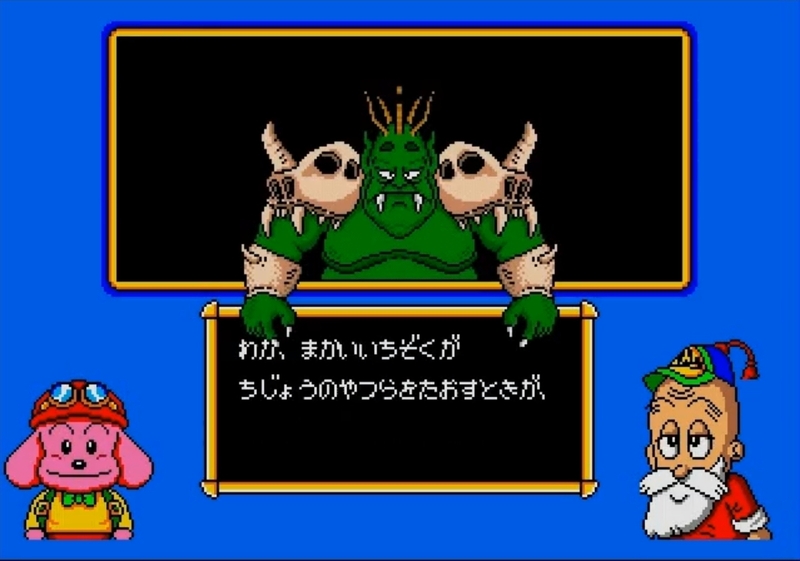 Turbo Hat’s plot was similar, involving Magical Hat trying to reunite the island while stopping the green-skinned Demon King in the process. 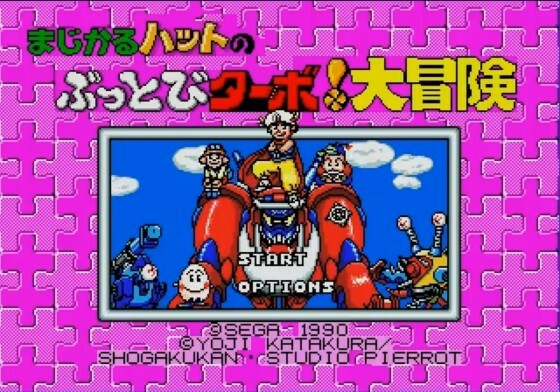 The title screen was kept in line with the original, retaining a central letterbox-sized array of characters. It’s rather brown, isn’t it? 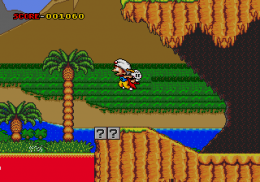 The screenshot above captures perfectly the type of vibe Sega wanted the game to have. 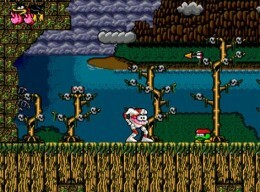 Skulls hang from trees; the grass is barely alive and Sega’s infamous blue skies are notably absent. Bones and hearts – complete with pumping arteries – now burst out of enemies when defeated, while the health bar was altered to feature body parts as well. 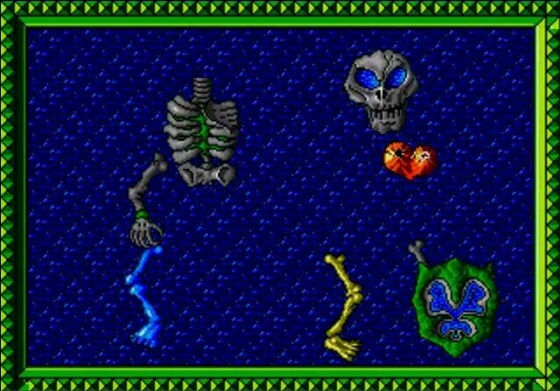 It’s morbid, certainly, but a far cry from some of the sights found in the likes of Splatterhouse, Mortal Kombat and other notorious ‘90s “videogame nasties”. Sega even gave the end of level mini-game a makeover. 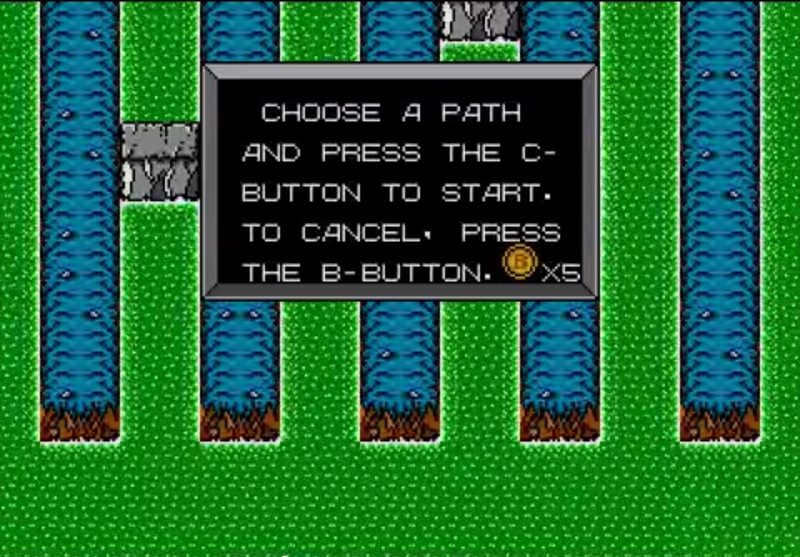 Here, a path had to be selected – if chosen correctly it would lead to various bonus items. 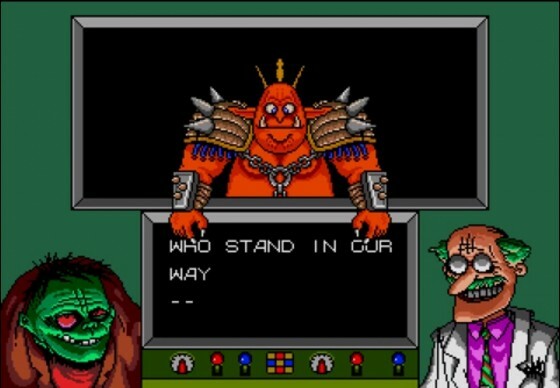 Those who played Psycho Fox will have felt a sense of familiarity. 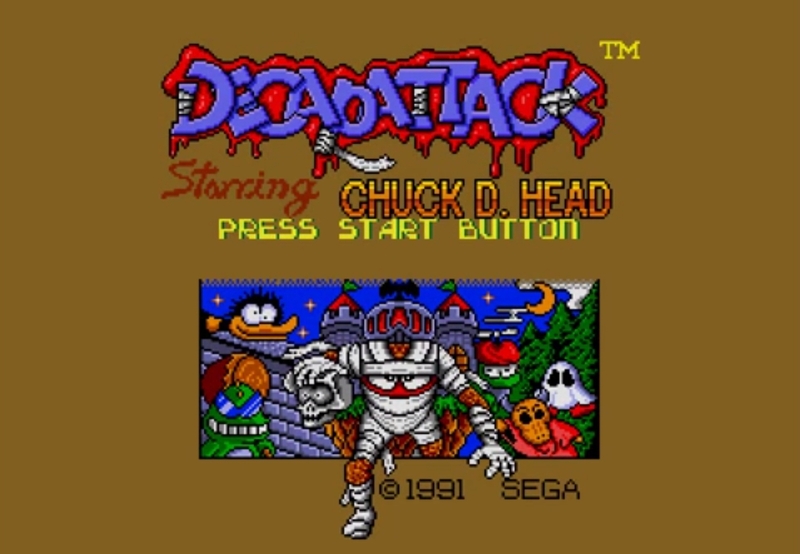 Little knowing that the game they were playing was incredibly different from how it was originally conceived, DecapAttack was a strong seller that has been included in numerous Mega Drive retro collections over the years. 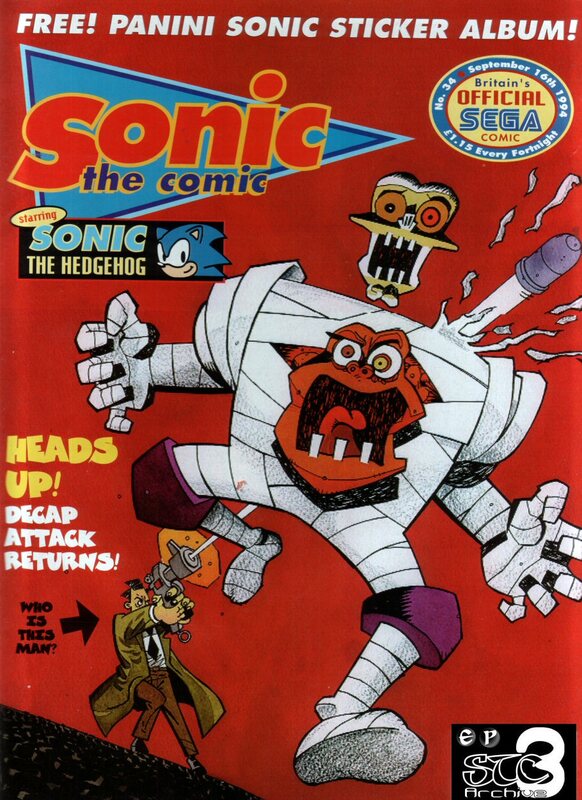 Chuck D. Head was even immortalised in a regular Sonic the Comic strip, which apparently only came about because a Chuck Rock strip was cancelled at the last minute. 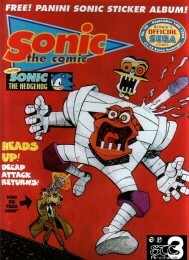 We’d imagine that the writers felt a sense of relief about that – writing stories for a character with the ability to, quite literally, lose their head must have been far more appealing than a videogame character who simply lobbed rocks and shoved enemies out of the way with a mildly disturbing hip thrust.